Over the last few days, I have been fairly close to wishing I had access to a privy deep within the woods. The ability to have a private moment (or two) has been few and far between while caring for 14 dogs. The featured image (above) does not do a fair job illustrating my wishes for a privy. 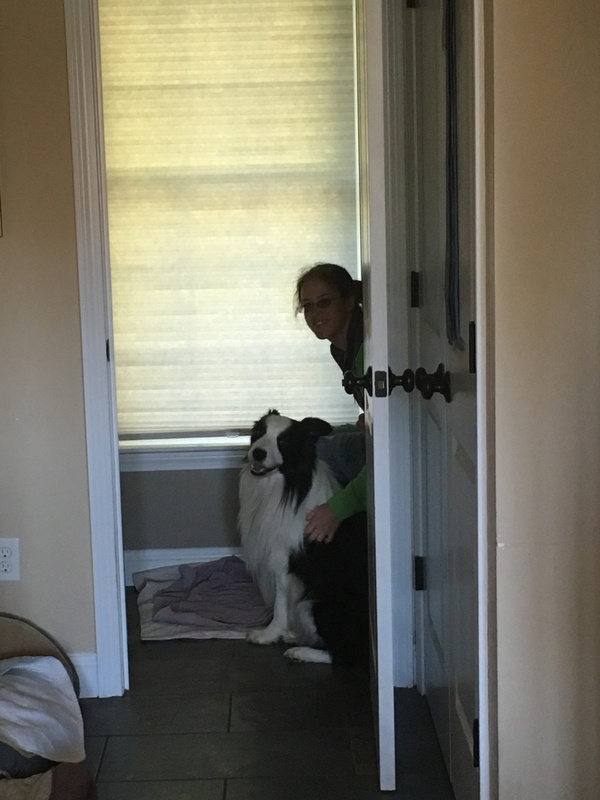 Before John went to get the camera, there were at least five dogs in the small bathroom with me. Why not shut the door, you ask? The first floor bathroom is sleeping quarters for one of the dogs that prefers to sleep in tight spaces. Thus, I was in his space. That is not the dog you are seeing in the photo. The bathroom “owner” is on the other side of me, out of view, snug safely between the wall and the toilet. If I want absolute privacy I do have the option of going upstairs, a sacred space where the dogs are not allowed. However this sacred space is not always convenient when you gotta-go. A dogs privy is everywhere (well, outside). Dogs have the glorious freedom of prancing around outside, sniffing around for the perfect spot. They are not confined to a porcelain throne. They don’t have to worry about how much water they may be wasting or whether they’re using recycled paper (yes, these are things I think about). Dogs walk outside and go. And we pick it up. Curious about how far I travel while on poop patrol and what the GPS grid would look like, I slapped on my Garmin and headed outside. Nearly a half hour and 0.4 miles later, this is the result… I totally thought I was walking a grid! I should ask Kale if it counts towards my training. Great point and an upper body workout!